Q. Is Risk Optometric Associates employed by Wal-Mart? A. No, we are independent. 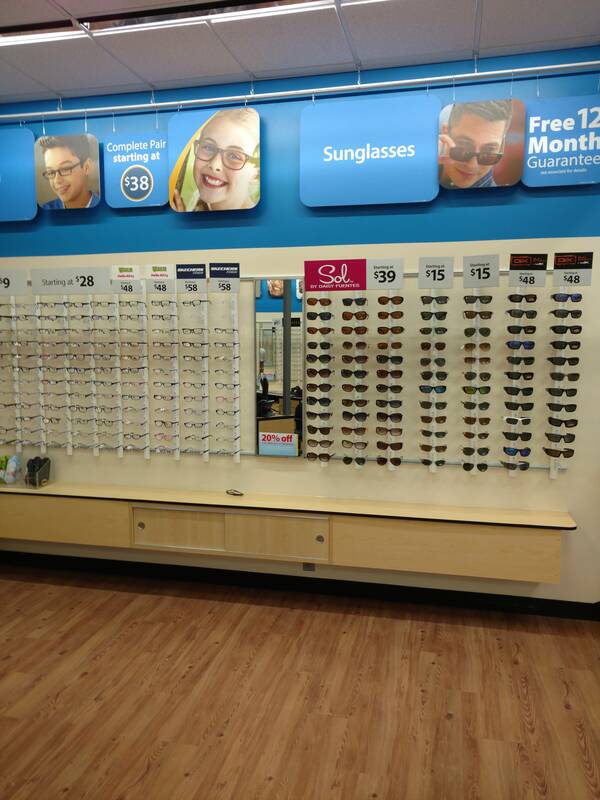 Wal-Mart is just our landlord, and our professional team of optometrists all choose to practice eye care on their premises. With eye doctor’s offices located in Fayetteville, Hope Mills, Raeford, Aberdeen, Jacksonville, Fort Bragg and Hendersonville, we serve patients all over Central North Carolina. We provide comprehensive eye exams and caring, quality treatment for ocular diseases. We do not make an income from selling glasses or contact lenses. Q. I want to receive a top quality eye exam. How are your fees substantially lower than many other eye doctors? A. We are able to charge lower fees because we have lower operating costs and overhead, as well as ultra-convenient locations that keep our practices full and thriving all day long. Our optometrists boast the same four years of professional training as all certified optometrists, and we all underwent extensive testing in order to receive our licenses to practice in North Carolina. We provide expert service using state-of-the-art diagnostic technology, and we never compromise on quality. Q. Following my eye exam, will I receive a written prescription that is accepted everywhere? A. Certainly! After we conduct a full evaluation of your vision, we’ll send you home with a printed prescription and a summary of your eye exam. Your prescription will be valid throughout the entire U.S.
Q. Do I need an eye exam every year, even if my vision seems fine? A. Eye doctors and optometric experts recommend that adults have their eyes checked once a year, and we believe that these annual eye evaluations are very important for your health. Many eye conditions and diseases are silent and will be detected only by a comprehensive exam. Vision can also change subtly, unnoticed by the patient. An annual check-up allows us to diagnose any ocular problems at a very early stage. A. We care about your eyes. In order to make our eye care services and treatment as convenient as possible for patients, we accept the majority of vision plans for the part of the exam fee that your insurance covers. Please contact us to verify coverage for your specific insurance provider. Q. Why is a contact lens exam more costly than a regular eye exam? A. In addition to your vision prescription, an eye examination for contact lenses checks the curvature of your eye in order to determine which lens will fit best. After you’ve worn the contacts for a period of time, we also conduct a follow-up evaluation to ensure that no complications are developing. Q. What is the difference between all of the available contact lenses? Is there a problem with buying the most inexpensive pair? A. Contact lenses differ in the materials that they are made from. The lenses that are being produced now are made from materials that allow a greater amount of oxygen to pass through, which makes them much healthier for your eyes than the contact lenses of the past. These new materials are also more comfortable, allowing extended wear of at least 14 hours each day. Although the cost may be a bit higher, we recommend the newer lenses – as they promote the long-term health of your eyes. Would you buy a computer that was made five or ten years ago, even if it’s cheaper? So why buy contact lenses that aren’t up-to-date? Q. Is my contact lens prescription only for a specific brand of lenses? A. Yes. Our optometrists will provide you with a prescription for the particular brand of contact lenses that we believe is optimal for your ocular health and visual needs. We will base this decision upon our full examination of your eyes and our professional experience. Q. Can I wear a contact lens that has a small tear in it? A. It is dangerous to wear a torn contact lens. The outer tissues of your eyes are extremely delicate and a tear in your lens can lead to infection. If you do not have a replacement lens at home, please come to our office and we’ll be pleased to give you a temporary replacement lens, at no charge, which you can wear until you receive your new supply of lenses. Q. What is the quality of eyeglasses from Wal-Mart? A. Wal-Mart has six modern optical labs and produces your custom-made eyeglasses with only high quality frame materials and lenses. As technology advances, the company is always keeping pace and upgrading their supplies. Due to Wal-Mart’s efficient operation and buying power, customers are fortunate to benefit from great vision with long-lasting eyeglasses – all at an everyday low cost.